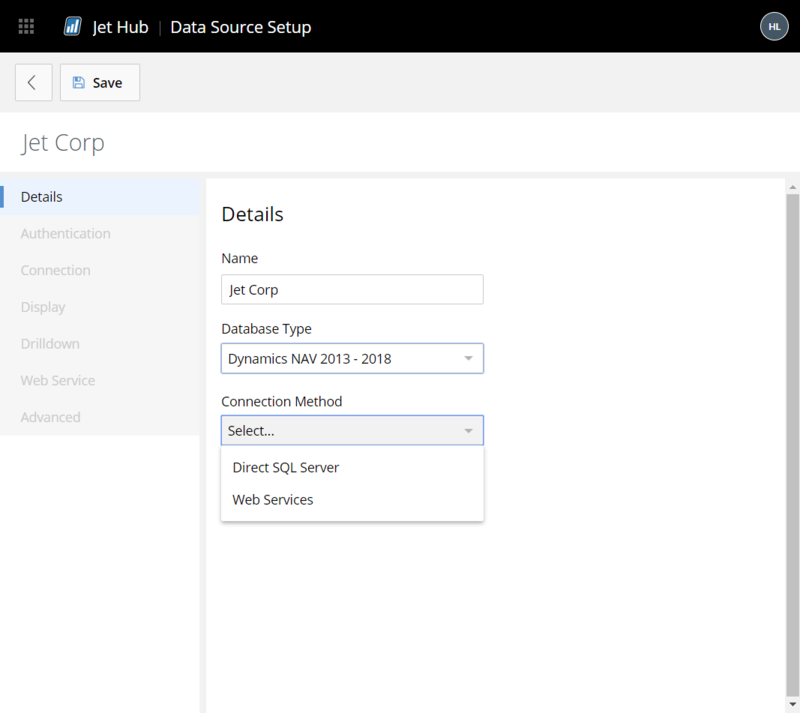 You can define a data source connection to Dynamics 2013-2018 Web Services from directly within Jet Hub. 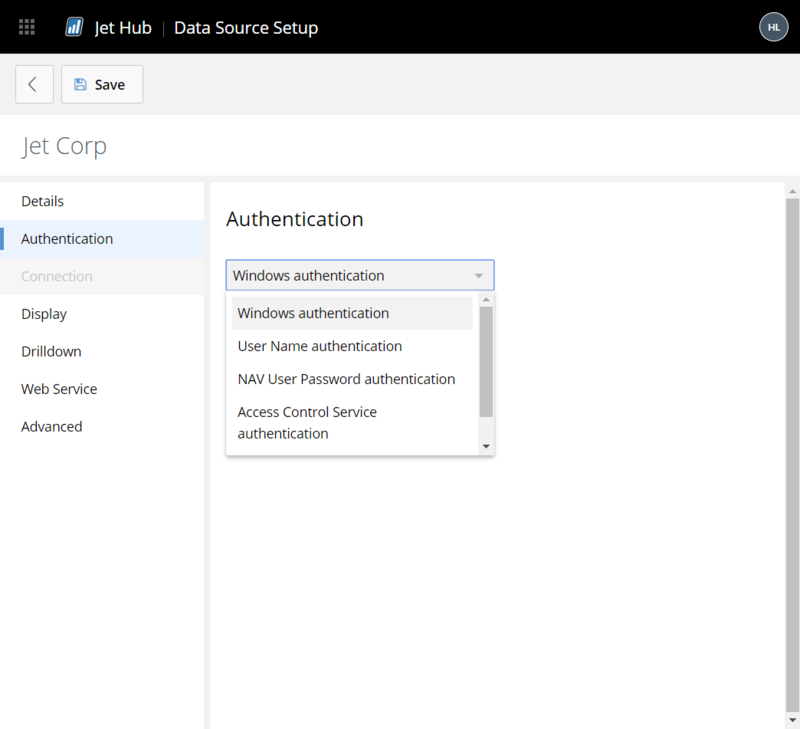 Specify the user credentials needed to connect both to NAV's Web Services (you may need to contact your system administrator for details). Specify the name of the NAV Web Server. Specify the SOAP services port configured for your Dynamics NAV. 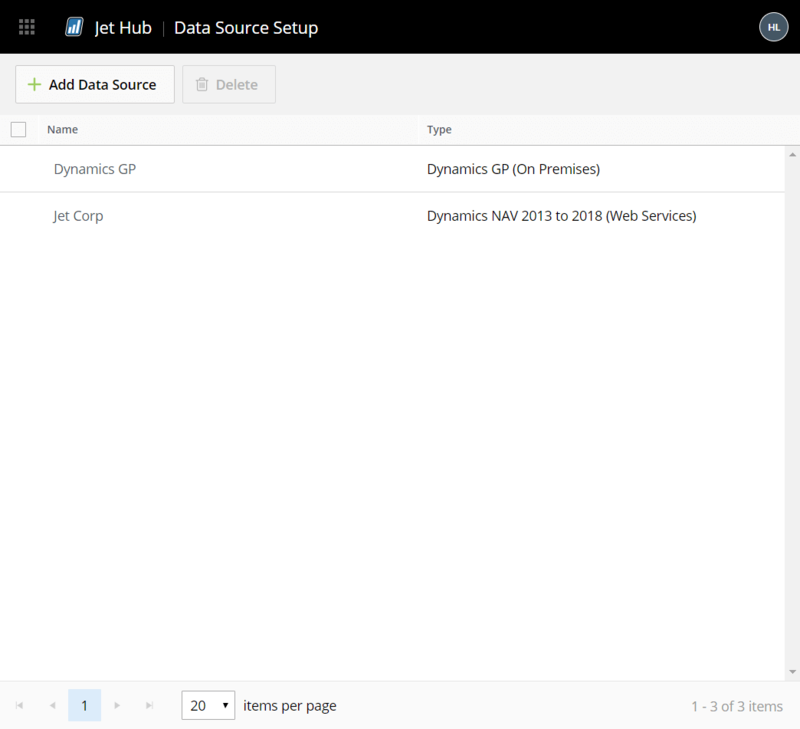 Enter the name of the NAV Instance configured for your Dynamics NAV. 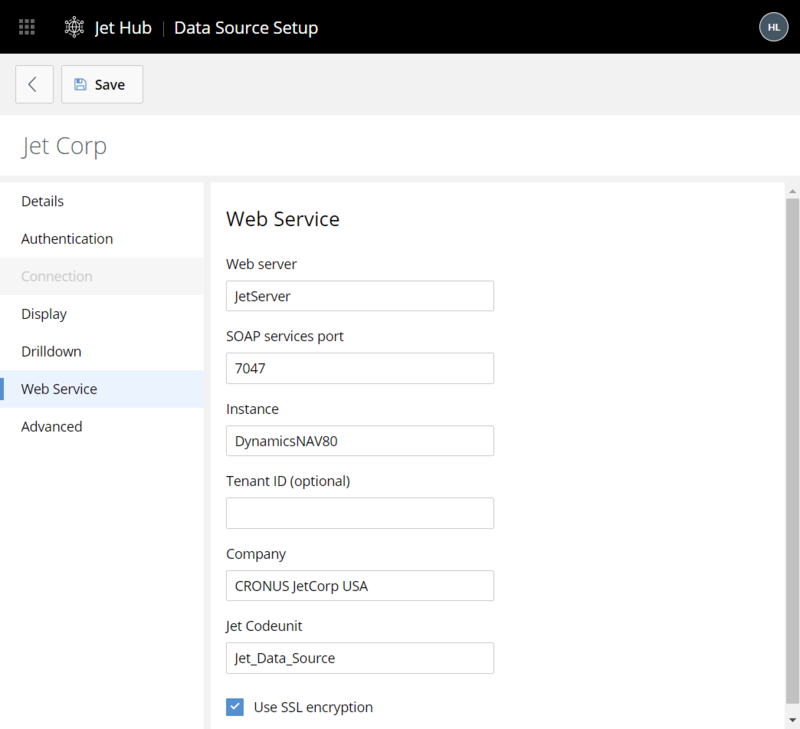 Ensure that the Jet Codeunit setting is configured for Jet_Data_Source.